great for security systems & warning systems! 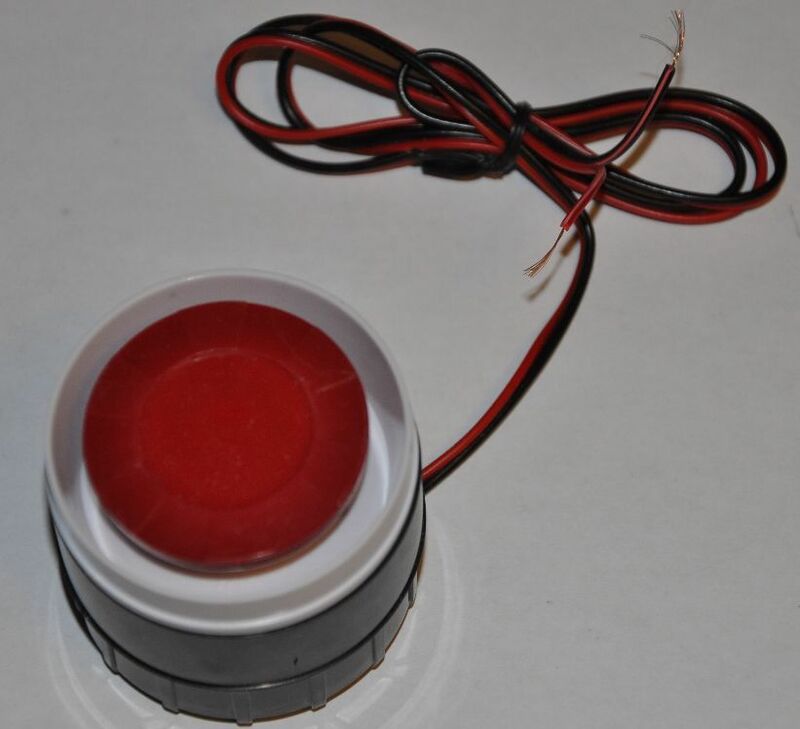 This listing is for a REALLY LOUD 12v pulsing siren module. The video above offers a full demonstration on how to use this module. It is very simple to use, and outputs more than 10dB of sound. It literally hurts the ears to listen to it. It requires 12VDC at roughly 50mA. There are two wires; RED & BLACK/RED. Connect 12v to the red wire, and DC ground to your BLACK/RED wire. We also sell 12v adapters in our store, so have a look around! While there is no included mounting hardware, there are two mounting holes, and there is also a peel-off double sided tape option on the back side of the module. If you peel off the protective layer, you can stick your siren to your wall or mounting board. Please don't hesitate to ask if you have any questions at all. We will do our best to answer efficiently and promptly.